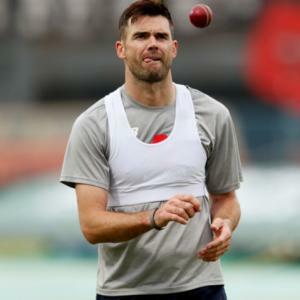 Rediff – England paceman James Anderson has been ruled out for six weeks with a shoulder problem but aims to be fit for the Test series against India later in the summer. “We have five tests against India in a six-week period from 1 August, which will be an intense and challenging period for all our bowlers,” said England coach Trevor Bayliss. The Lancashire seamer played in both Tests in the drawn series against Pakistan but is not involved in England’s upcoming One-day series against Australia. The first of five Tests between England and India begins on August 1 at Edgbaston.